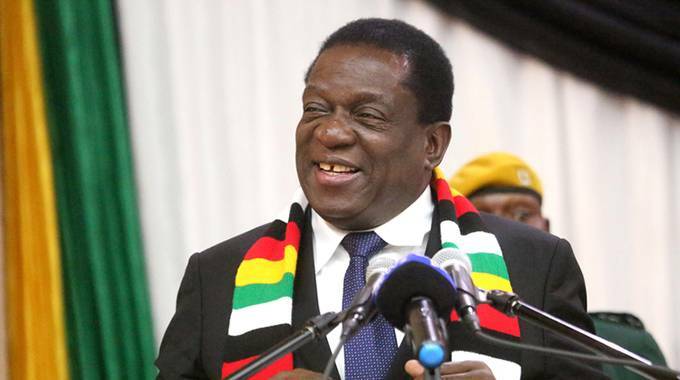 President Mnangagwa has, with immediate effect, appointed Mr Martin Rushwaya as Deputy Chief Secretary for Administration and Finance, while Ambassador Mark Grey Marongwe is the new Secretary for Defence and War Veterans Affairs. The President also appointed Mrs Respect Gono as the new chief immigration officer. In a statement yesterday, Chief Secretary to the President and Cabinet Dr Misheck Sibanda said: “His Excellency the President, Cde ED Mnangagwa, has appointed the following senior Government officials: In terms of Chapter 10 Section 205 (1) of the Constitution of Zimbabwe Amendment (No. 20) 2013; Martin Rushwaya as Deputy Chief Secretary for Administration and Finance (Accounting Officer) in the Office of the President and Cabinet; and Mark Grey Tichatonga (Marongwe) as Secretary for Defence and War Veterans Affairs. Mr Rushwaya was the Secretary for Defence before his new appointment. Mrs Gono is a senior civil servant in the Office of the President and Cabinet and has served Government for 27 years. She replaces Mr Clemence Masango, who is now the Registrar-General. Ambassador Marongwe was the Director of Regional Cooperation and Continental Integration in the Ministry of Foreign Affairs and International Trade. He is a career diplomat and a retired veteran radio and television broadcaster, who was once a manager at the Zimbabwe Broadcasting Corporation. Ambassador Marongwe was appointed first indigenous Zimbabwean to occupy the office of director of radio and television news and current affairs at ZBC in 1980. His diplomatic work spans over 28 years, starting in 1990 when he joined the Ministry of Foreign Affairs as Minister Counsellor at the Embassy of Zimbabwe in Washington, DC, United States of America. He acted as charge d’affaires at the embassy between 1993 and 1995 before the appointment of a substantive ambassador. Ambassador Marongwe also served as Zimbabwe’s High Commissioner to Mozambique early 1999 before he moved to the Democratic Republic of Congo as ambassador in 2002 to supervise the withdrawal of Zimbabwean troops. In 2007, he was appointed Zimbabwe Ambassador to Kuwait, while also accredited as non-resident Ambassador to Saudi Arabia, the United Arab Emirates, Qatar, Bahrain, Oman and Yemen. The Embassy in Kuwait also covered Jordan and Lebanon.